PSA: Apple has launched a repair program for MacBook Pros from 2011 to 2013 displaying video problems. People with video issues who have the affected models can get them fixed for free, and people who already paid to get their laptops fixed can get a refund. 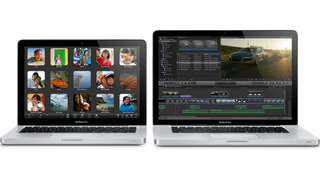 This includes MacBooks with scrambled video, video that won't turn on, and unexpected restarts. This may be an example of legal and public pressure causing Apple to finally fix the issue. One of the complaints I've heard over and over again (seriously, I get emailed every week about this) is that Apple has been ignoring a graphics problem on the same models of MacBook Pros its now fixing. A class-action lawsuit last year alleged that Apple refuses to reimburse people with 15-inch and 17-inch MacBook Pros from 2011 that displayed the exact same scrambled-screen issues that Apple is now offering to fix for free. A petition with over 18,000 signatures implored Apple to repair 2011 MacBook Pros with similar issues. People created websites to draw attention to the issue. So even though Apple says this affects a "small percentage" of its computers, the negative public reaction has been pretty loud. I've emailed Apple to ask if the petition, lawsuits, and complaints swayed its decision to do free repairs, and will update if I hear back. Repairs start today in the US and Canada and on February 27 internationally. The affected models include 15-inch and 17-inch MacBook Pros from 2011, and 15-inch MacBook Pro Retinas manufactured between late 2012 and early 2013. You'll be able to take it in for a free fix until February 27, 2016 or three years after you purchased the computer.